Two blocks, two tools, and two units to make this delightful quilt! Originally designed as a companion to Marie Bostwick's 2014 novel Apart at the Seams! Gorgeous with rich warm fall fabrics, but fabulous in other colorways, too--we think this would make a wonderful Christmas quilt! The design is easy to make using the Tucker Trimmer 1 and the Wing Clipper 1 tools. Uses seven fabrics (including a border fabric). 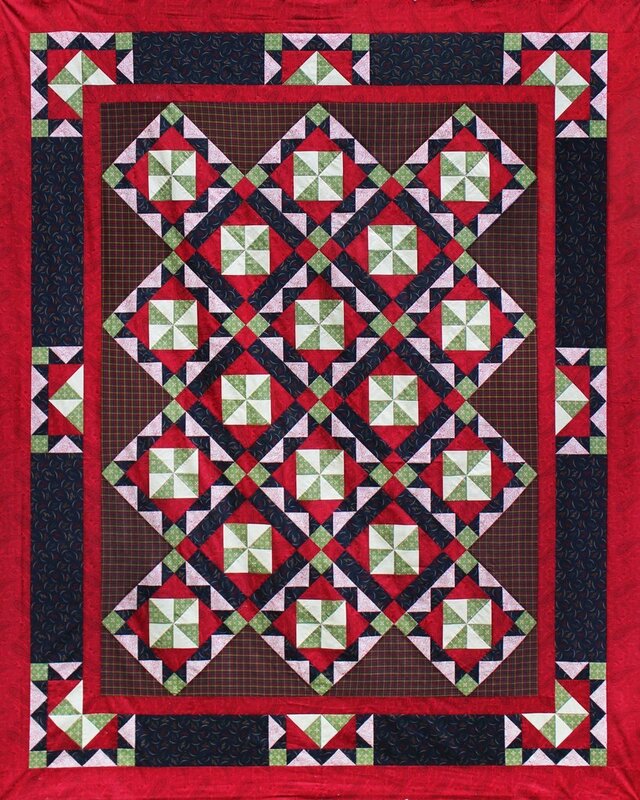 Quilt size: 75" x 91"
Required Tools: Deb Tucker's Studio 180 Design Tucker Trimmer 1 and Deb Tucker's Studio 180 Design Wing Clipper 1 available on our website!